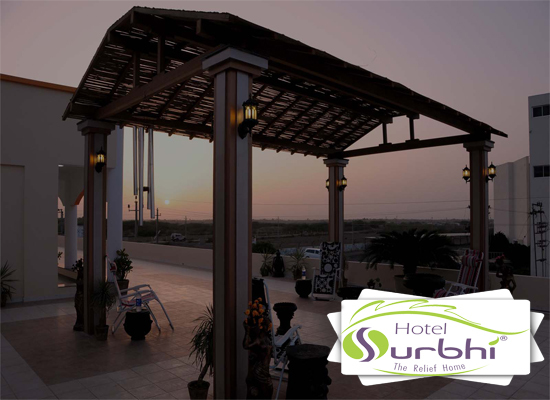 The Surbhi Hotel is located in the heart of Zero Point, On The Way to Adani port Road, Mundra – Kutch and in close proximity to the Mundra International Container Terminal (MICT), SEZ And Mundra Port, there by making it easily accessible to the ever-expanding Shipping hub in and around Industrial Projects as well as the loads of International business travellers that through the Mundra city.Banking Service & ATM Facilities From HDFC Bank in our premises.Pick up & Drop Facilities. 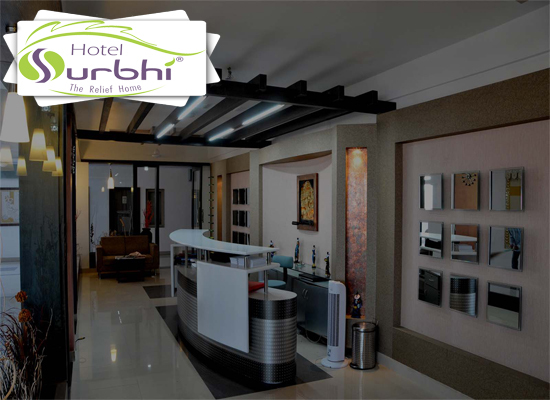 WHY GUEST CHOOSE SURBHI HOTEL? 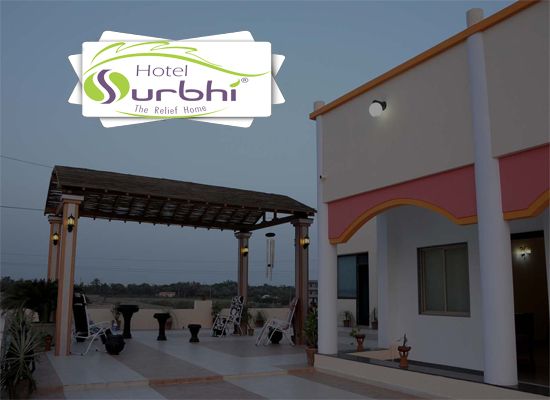 In addition, Hotel Surbhi offers one of the best amenities in a room And Outdoor Terrace Garden With Gazebo To Enjoy In True European Style On Chilly Winter Mornings & Evening Sit-Out like tea/coffee, Ice Cream And Juice. 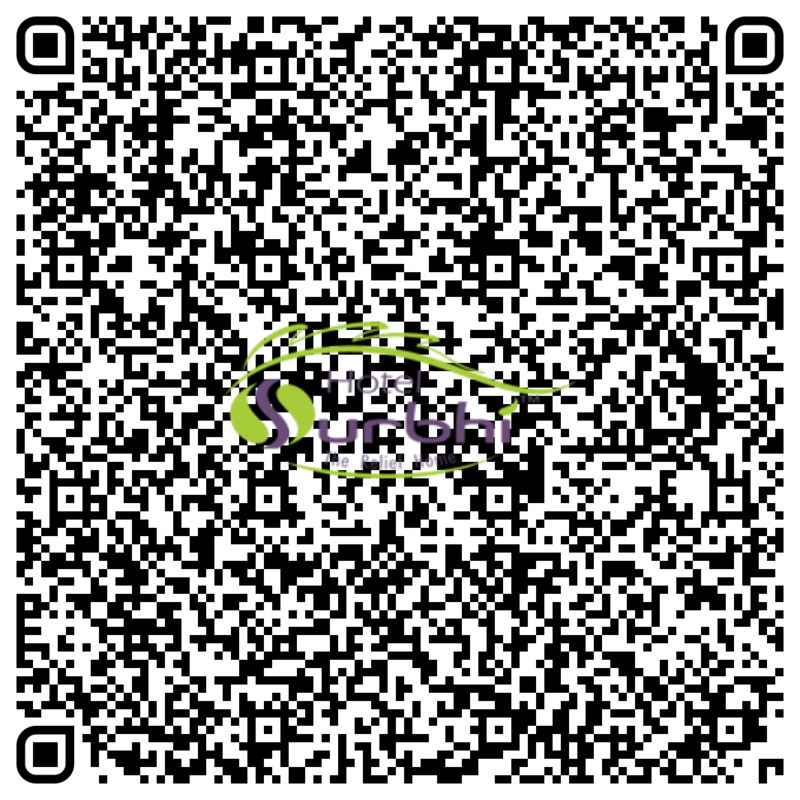 SABRI RESTAURANT (We Serve Fresh, Organic & Hygienic Food Made From Our Own Farm & Dairy), Fully A/C Conference Hall With L.C.D.Projector Ample Car Parking Zone With Security Guard, 36 Fully Furnished A/C Luxurious Suite Room – A/C Deluxe – Non A/C Deluxe internet connectivity (Cyber Cafe), Local, STD, & ISD telephone lines, designed bath room facilities, colour television and cable service, And Gymnasium Facilities. 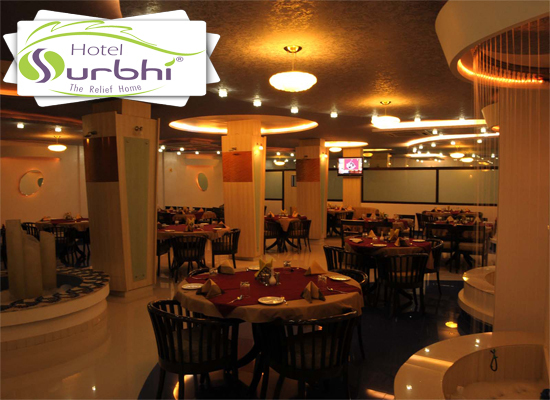 Hotel Surbhi, like most international sophisticated Business Hotel, provides you with a trendy, vibrant, dining experience, a high-tech venue for conferences and Banquets, travel desk, round-the-clock room service, thus making it a complete experience and not just a stay. Home is Where Peace, Love & Happiness Lie. The Modern World is a Bagful of Competitiveness, Pressures, Deadlines & Tensions.In Midst of All the Toughness That Life Has in Store, Home is One Place Where Each & Every Individual is Relaxed, Feels Happy & Cared. Today, The Professionals Are Merely Living Life Out Of Their Suitcases And Are Fatigued With The Fast Pace Of Life, Work Pressures & Staying in The Concrete Blocks Managed By Professional Groups Where The Personal Need And Care Are Not Given The Utmost Importance. Nature Has Given Mankind A Beautiful Gift in a Form Of Life. 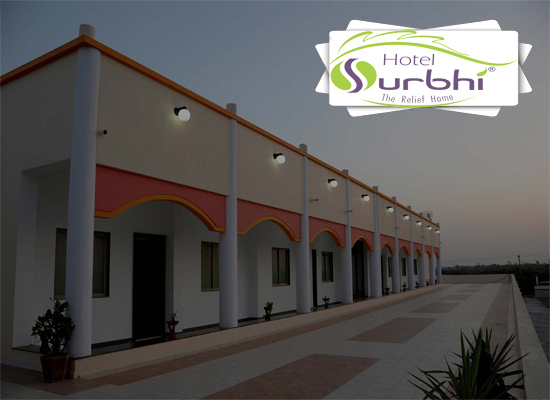 Hotel Surbhi In Its Small Way Would Work Towards Preserving this Precious Gift & Promote Vegetarianism in Its Campus. We Invite You to come & Stay at Our Relief Home & Experience a World Close To Your Home.